Estimating nutrient loads is a critical concept for students studying water quality in a variety of environmental settings. Many STEM/Environmental science students will be asked to assess the impacts of a proposed anthropogenic activities on human water resources and/or ecosystems as part of their future careers. This module engages students in exploring factors contributing to the actual loads of nitrogen that are transmitted down streams. Nitrogen is a key water quality contaminant contributing to surface water quality issues in fresh, salt, and estuarine environments. Students will utilize real-time nitrate data from the US Geological Survey to calculate nitrate loads for several locations and investigate the interplay of concentration and discharge that contributes to calculated loads. 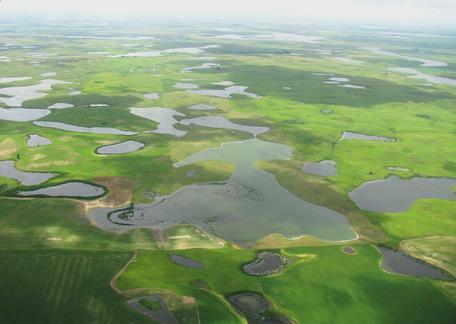 Wetlands and their plants filter nutrients and chemicals from rainwater runoff, replenish groundwater aquifers, and provide habitat to numerous animal species. The hundreds of plant species found in and around wetlands are specially adapted to their environment. Photo by USFWS. Analyze and interpret data to deepen knowledge and increase understanding of hydrogeological concepts and nitrogen cycling in aquatic systems in the context of increased nutrient availability. Explore advantages and disadvantages of different ways to investigate, sample, and quantify nutrients in aquatic systems. Develop skills for critical data analysis, graphing, and statistics. This module is designed for two 50-minute lecture periods and two 1-hour-and-50-minute lab period. The instructor may complete as many of the activities as practical during this time. The activities are listed in order of increasing difficulty from A to E.
This module is intended for introductory to upper-level, Earth Science, Biological Science and Environmental Science students. It is helpful if students have a little knowledge of chemistry. It will also be useful for the students to understand the fundamentals of the hydrological cycle prior to this module as runoff plays a key role in the interpretation of the results. The Excel skills used in this activity involve using equations, summations and averages. This module has been used in advanced courses for majors in Earth Science, Biological Science, and Environmental Science courses. Module materials can be tailored to increase or decrease the background information depending on students' quantitative skills and interests. This module can also be taught as part of a three-part module sequence in combination with EDDIE Stream Discharge and EDDIE Water Quality modules. See the teaching materials files, provided below, for a step-by-step description for carrying out this module. A student handout, describing Activities A, B, C, D, and E and a data file are also provided. Activity A: (Lecture and background - 1 hour) Background of nutrient issues in surface waters by exploring EPA Impaired Waters list and animated maps of nitrate concentration, and learning about concentration, discharge, their relationship, and the calculation of load. Activity B: (Calculations and graphing -1 hour) Accessing USGS data sets and combining concentration and discharge data to investigate nutrients loads from agricultural systems in Iowa, graphing the data as time -series and scatter plots as well as investigating calculations that can be made with these data. Activity C: (Calculations and graphing - 1 hour) Quantifying correlations between the two variables at different time scales and in different ways using both graphs and statistical correlations. Activity D: (Calculations of load - 1 hour) Calculating loads of nutrients exported from a catchment and comparing an upstream and a downstream catchment to see how concentration and discharge change along with nutrient load with distance downstream. Activity E: (Sample frequency - 1 hour) Calculate loads of nutrients exported from a catchment with varying sample frequency. It is rare to have high frequency data like the ones used in the earlier parts of this module. In this exercise students will work with desampled data to investigate the effects of sample frequency on the calculation of nutrient loads. Prior to using this module, it is helpful if students are familiar with the following concepts: components of the hydrologic cycle, stream discharge and its measurement, hydrographs, nutrient cycling, and rudimentary operation of Microsoft Excel. Discussion of the readings can be integrated into the presentation or separate. After presentation, students work on their computers (possibly in pairs) to complete the module activities. See the Instructor's Manual (Microsoft Word 2007 (.docx) 105kB Mar28 17) and Instructor PowerPoint (PowerPoint 2007 (.pptx) 14.6MB Mar29 17) for notes and tips for carrying out this exercise. In Activity A, students read assigned material, write down questions they have about it, and answer a set of guiding questions. They then view the instructor PowerPoint for an introduction to usage of water for human drinking with respect to Blue Baby Syndrome and ecosystem health with respect to eutrophication. In Activity B, students explore nearby impaired streams using Google and EPA water quality data. In Activity C, students search for and work with local water quality data, and generate plots that will allow them to further analyze the data, answering questions as they go. In Activity D, students compare nitrate concentration from a single storm event in a rural setting to an urban setting. In Activity E, students explore the variability of nitrate during a short time scale (i.e. a 24-hour period) and see if it offers insights to potential biological controls on nitrate concentrations. These articles may be appropriate for a more advanced class and can provide additional background information for an instructor. These articles explain the role that instream and stream groundwater interactions can have on nitrogen export from watersheds. Alexander, Richard B., Richard A. Smith, and Gregory E. Schwarz. "Effect of stream channel size on the delivery of nitrogen to the Gulf of Mexico." Nature 403, no. 6771 (2000): 758-761. Peterson, Bruce J., Wilfred M. Wollheim, Patrick J. Mulholland, Jackson R. Webster, Judy L. Meyer, Jennifer L. Tank, Eugènia Martí et al. 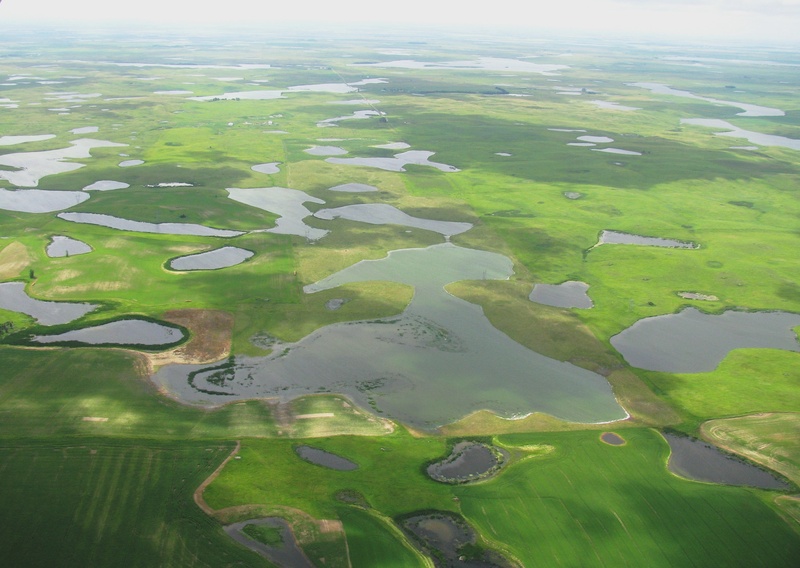 "Control of nitrogen export from watersheds by headwater streams." Science 292, no. 5514 (2001): 86-90. Hedin, Lars O., Joseph C. von Fischer, Nathaniel E. Ostrom, Brian P. Kennedy, Michael G. Brown, and G. Philip Robertson. "Thermodynamic constraints on nitrogen transformations and other biogeochemical processes at soil–stream interfaces." Ecology 79, no. 2 (1998): 684-703. These are supplemental resources which students or instructors may wish to explore during the module. This module was initially developed by Castendyk, D.N., T. Meixner, and C.A. Gibson. 6 June 2015. Project EDDIE: Nutrient Loading. Project EDDIE Module 7, Version 1. http://cemast.illinoisstate.edu/data-for-students/modules/nutreint-loading.sh... Module development was supported by NSF DEB 1245707.